Happy Valentine's Day Cars fans! Thanks for dropping by. 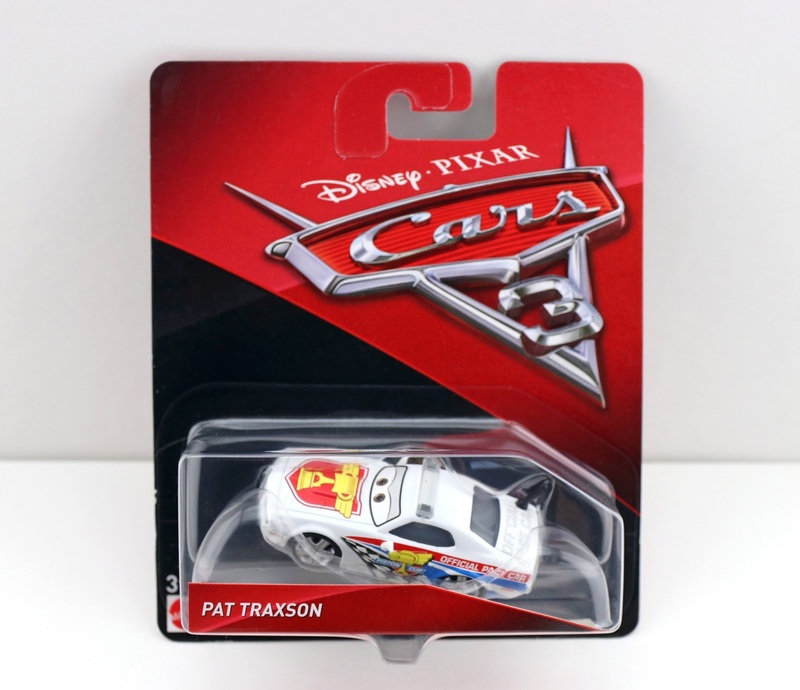 Today I'm taking a look at another Mattel Cars 3 1:55 scale diecast...Pat Traxson! I was finally able to find this one (at Kmart of all places...I know right?) just last week. I was super excited! That means I only have seven more diecasts to go to finish up 2017. 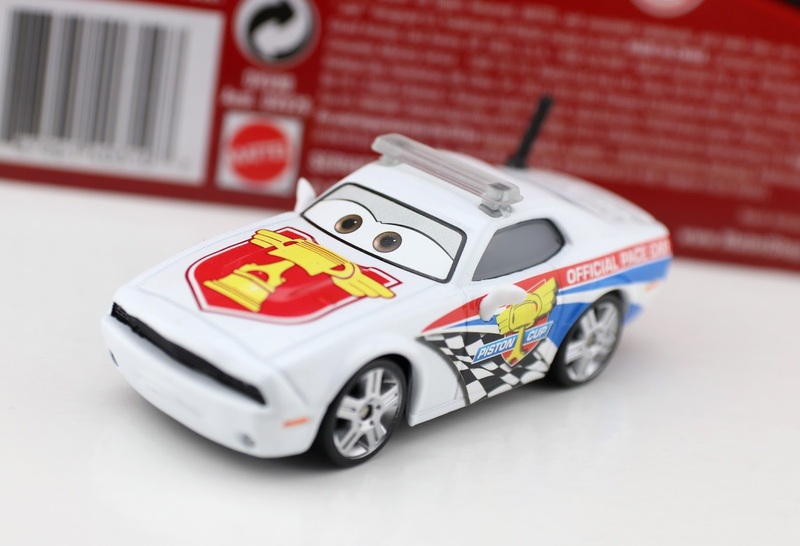 As shown in the screenshot above, Pat is an official Piston Cup pace car. He's seen most prominently during the film's final race (the Florida 500). If you remember, he's the pace car that Cruz has to beat out when coming out from the pits for the first time! Such a cool moment. Looks great! It's awesome to have a new version of a pace car (following Charlie Checker from the original Cars). I really dig the design! If you're still needing to add Pat Traxson to your collection, be on the lookout at your local Walmart, Target, Toys R Us and Kmart stores (even though he's from last year, he's obviously still popping up since I just found him). If you'd rather just snag him online, you can always check current eBay listings HERE or Amazon using the link below.